Itchout-200 tablets are an antifungal medication used to treat vaginal yeast infections caused by the yeast known as Candida. It works by stopping the growth of common types of vaginal yeast (fungus). This medication belongs to a class of drugs called azoles antifungal. It works by stopping the growth of Candida (fungus). It usually starts to work within one day, but it may take 3 days for your symptoms to improve and up to 7 days for your symptoms to disappear. Composition: Fluconazole 200 mg, Excipients q.s. Description: Itchout-200 tablets are an antifungal medication used to treat vaginal yeast infections caused by the yeast known as Candida. It works by stopping the growth of common types of vaginal yeast (fungus). This medication belongs to a class of drugs called azoles antifungal. It works by stopping the growth of Candida (fungus). It usually starts to work within one day, but it may take 3 days for your symptoms to improve and up to 7 days for your symptoms to disappear. 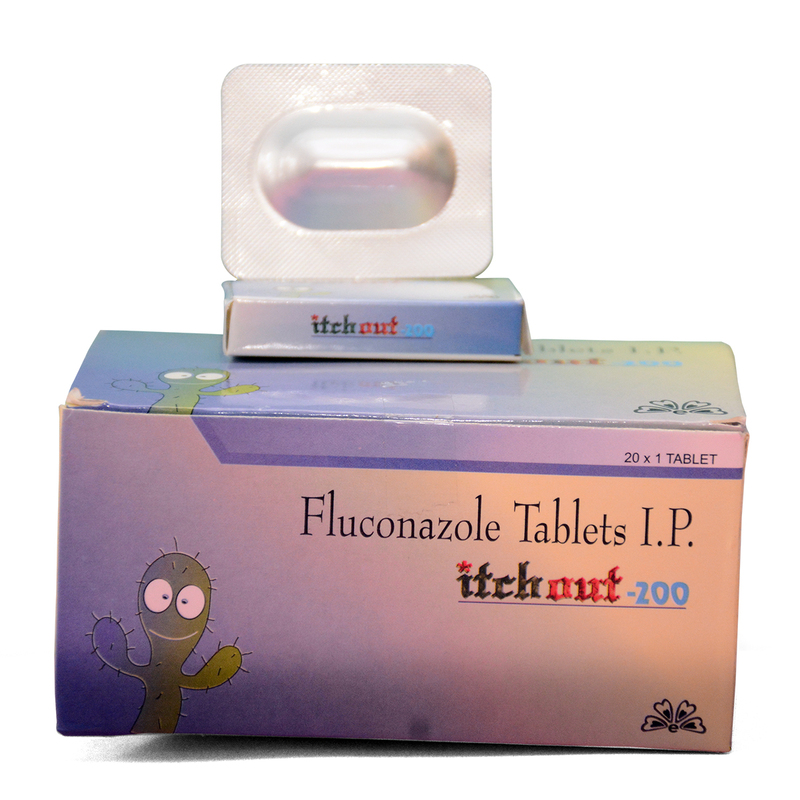 What infections does fluconazole in Itchout-200 treat? 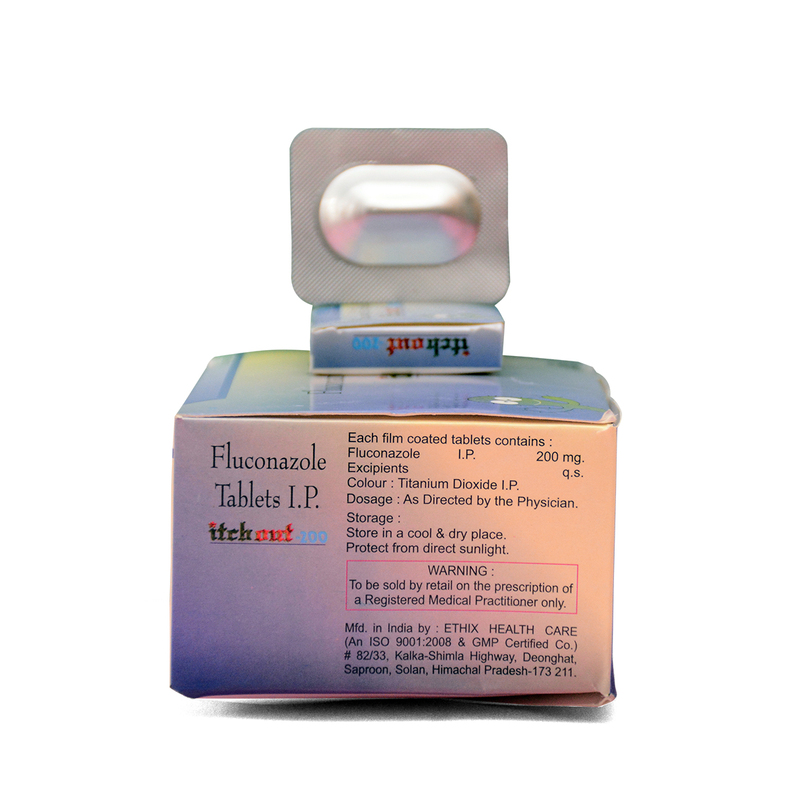 Fluconazole is used to treat serious fungal or yeast infections, such as vaginal candidiasis, oropharyngeal candidiasis (thrush, oral thrush), esophageal candidiasis (candida esophagitis), and other candida infections (including urinary tract infections, peritonitis [inflammation of the lining of abdomen or stomach]. What are the side effects of fluconazole in Itchout-200? Enzovit syrup 200 ml with Pepsin is an endopeptidase that breaks down proteins into smaller peptides (that is, a protease). Pepsin is produced in the stomach and is one of the main digestive enzymes in the digestive systems of humans and many other animals, where it helps digest the proteins in food.